Clipboard is an awesome tumblog style WordPress theme that comes chock full of style and customization options. If you’re looking to get started with microblogging then Clipboard is the way to go! Clipboard supports all of the core WordPress post formats and has been built and designed with simplicity in mind. 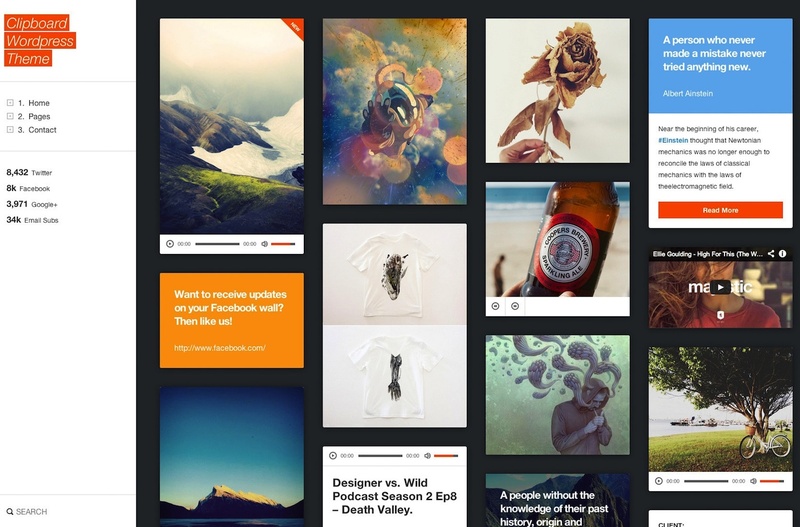 Clipboard is perfect for you to create a blog, tumblog, micrcoblogging, portfolio or photography website. Features include intuitive sidebars, shortcodes, widget ready, multiple post formats, custom feature post widget, localization support, page templates, infinite scrolling and more.